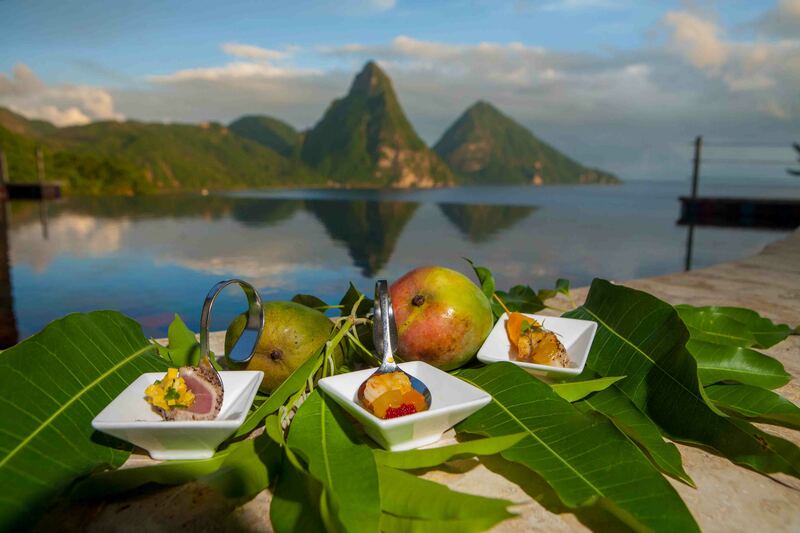 Jade Mountain has announced the dates for their special culinary events in 2019. In addition to the many culinary activities and special dining experiences available year round, there are some special events to take note of. 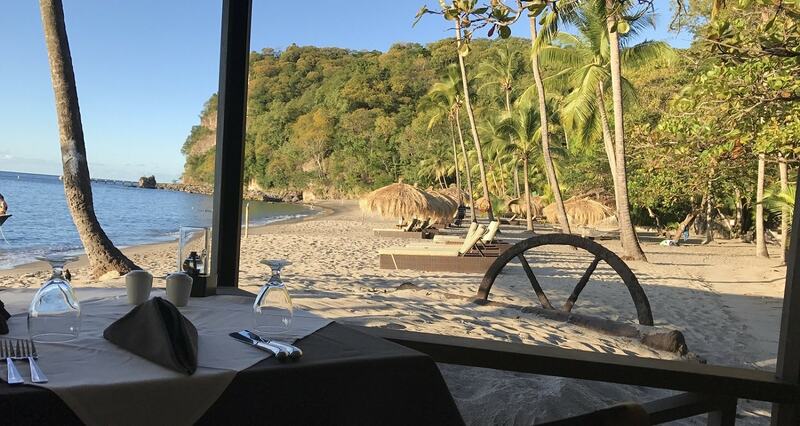 The culinary event schedule kicks off in April this year with a Wine Weekend, a collaboration between the World Wine Guys and Jade Mountain’s Consulting Chef Allen Susser. Details of this event are shared below. The annual culinary events Cooking in Paradise will take place from May 1 to 5, where you can learn the virtues of Caribbean cooking. The Mango Madness festival will happen at the height of mango month from June 20 – 23. From October 17 – 20 it’s all about the spices with the Spices of the Caribbean Festival. Chocolate takes center stage as the year ends with the Discover Chocolate Festival from December 10 – 15. All guests staying at Jade Mountain during the event dates can participate in the culinary activities. Some activities are offered for free whilst others may attract a surcharge. For full information visit http://www.jademountain.com/cuisine/culinary_events.html. 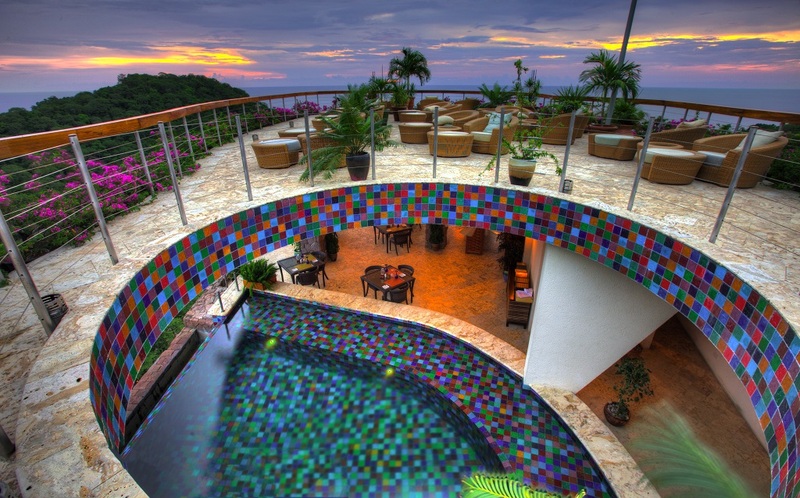 To book your stay, book online here, email jademountain@ansechastanet.com or call 1-800-223-1108. Treat yourselves to a wine-filled weekend that will please even the most discerning palate. Start your experience with the first of three wine pairing dinners that will join Chef Allen Susser’s award winning Jade Cuisine with wines chosen by Mike DeSimone and Jeff Jenssen, The World Wine Guys. Each evening will bring a unique menu highlighting the best of Jade Mountain’s wines from around the world served alongside sumptuous dishes featuring fresh produce from our Emerald Estate Organic Farm. Cool down on Friday afternoon with an informal wine tasting showcasing a refreshing selection of wines that are perfect for warm weather sipping. The evening brings us another wine dinner offering a delectable lineup of courses paired with wines specially chosen for tonight’s menu. After dinner, enjoy our Rum Tasting Under the Stars, indulging your taste buds in some of the Caribbean’s finest sipping rums on our breathtaking Celestial Terrace. On Saturday evening, you can indulge in an exclusive red wine tasting. The wines presented have been featured in the World Wine Guys’ book Red Wine, winner of the Gourmand International Award for Best Drinks Book in the World in 2018. This informative, educational, but most of all delectable event will whet your appetite for our third sumptuous wine pairing dinner. And finally, what could be better than Sparkling Brunch, offering inspired daytime fare served up with your choice of Mimosas, Bellinis, or just an exhilarating glass of unadorned Prosecco? All guests staying at Jade Mountain will be able to partake in the event – some functions are offered on complimentary basis whilst others are tied to a tasting menu – see details below and please let us know if you like to reserve a place for the special dinners. Mike and Jeff will work closely with Chef Allen Susser to pair wines with his fresh spring flavors of our Jade Cuisine and create an exciting 5-course dinner menu with wine pairing for Jade guests. 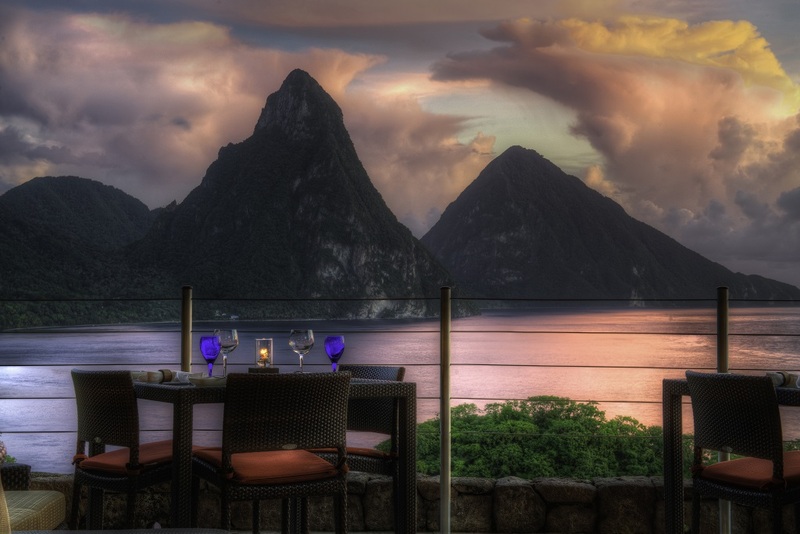 Wines for this dinner will be from Jade Mountain’s exclusive wine list. Cool down on Friday afternoon with an informal wine tasting including an uplifting sparkling wine, a rose and two white wines, showcasing a refreshing selection of wines that are perfect for warm weather sipping. The evening brings us another 5-course wine dinner offering a delectable lineup of courses paired with wines specially chosen for tonight’s menu. Our James Beard Award-winning consulting Chef, Allen Susser, has set the modern culinary stage for Jade Cuisine. 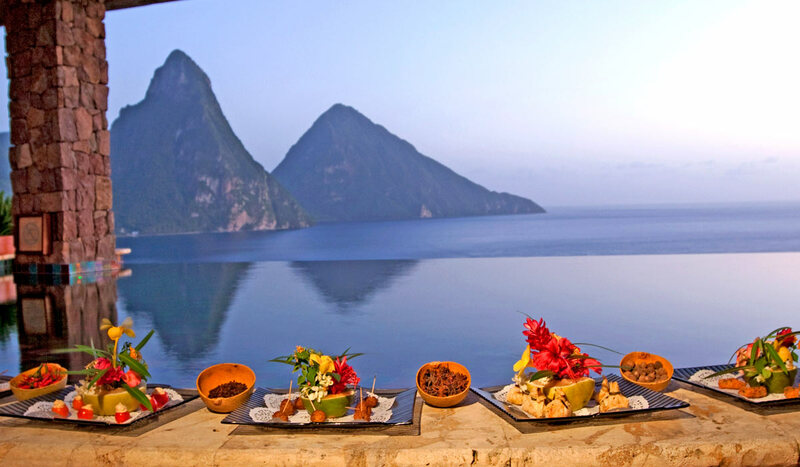 We celebrate the bold flavors of St. Lucia and its Caribbean heritage in our cooking at Jade Mountain. Tonight’s menu is created with the leadership of the resort’s Executive Chef, Juan Bochenski along with Chef de Cuisine, Elijah Jules. Our organic farm, Emerald Estate, also plays a major role in our culinary creativity. The farm grows many tropical fruits, citrus, leafy greens, micro greens, vegetables and herbs exclusively for your enjoyment. Mike and Jeff worked closely with Chef Allen to pair wines for this exciting food and wine pairing menu. Enjoy our Rum Tasting Under the Stars, indulging your taste buds in some of the Caribbean’s finest sipping rums on our breathtaking Celestial Terrace. informative, educational, and entertaining for the serious yet light hearted and fun for the not-so-serious wine drinker. The wines presented have been featured in the World Wine Guys’ book Red Wine, winner of the Gourmand International Award for Best Drinks Book in the World in 2018. This informative, educational, but most of all delectable event will whet your appetite for our third sumptuous wine pairing dinner. A specially prepared 5-course wine and dinner prepared by our Consulting Chef Allen, Executive Chef Juan and Chef de Cuisine Elijah. Our inspiration comes from the naturally diverse shapes and colors of the ingredients. By stretching our imagination, using the finest ingredients, intense flavors, and unpredictable combinations and challenging resources to take the craft to its logical end as a statement of art on the table. Mike and Jeff worked closely with Chef Allen Susser to pair wines for this exciting and unique food and wine pairing menu. Who are the World Wine Guys? MIKE DeSIMONE and JEFF JENSSEN, also known as the World Wine Guys, are wine, spirits, food, and travel writers, educators, television presenters, and hosts. They are award winning journalists as well as best-selling and award- winning authors. Well known in the wine world as “edu-tainers—part educators and part entertainers,” they have been featured guests on The TODAY Show, The Martha Stewart Show, Better TV, and the CBS, FOX, Hallmark, WGN, and NBC networks. 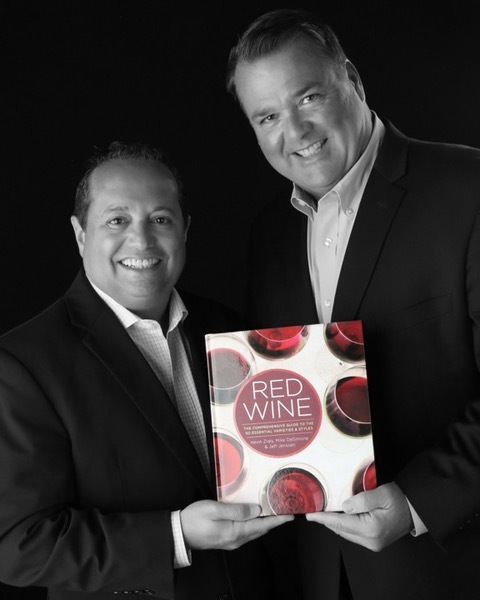 DeSimone and Jenssen are the authors of five books (so far) including: Wines Of California: The Comprehensive Guide, Wines Of California: Special Deluxe Edition, Wines Of The Southern Hemisphere which won the Gourmand International Award for Best Wine Book in the USA and RED WINE which was recently awarded Best Wine Book in the World with co-author Kevin Zraly. They are also the authors of the Fire Island Cookbook.